N 45° 24' 10" and W -75° 44' 45"
Champlain Park in Ontario is a town located in Canada a little west of Ottawa, the country's capital place. Time in Champlain Park is now 11:35 AM (Sunday). The local timezone is named America / Toronto with an UTC offset of -4 hours. We know of 8 airports nearby Champlain Park, of which 4 are larger airports. The closest airport in Canada is Ottawa / Rockcliffe Airport in a distance of 6 mi (or 10 km), North-East. Besides the airports, there are other travel options available (check left side). There is one Unesco world heritage site nearby. It's Rideau Canal in a distance of 79 mi (or 127 km), East. Also, if you like the game of golf, there are several options within driving distance. Need some hints on where to stay? We compiled a list of available hotels close to the map centre further down the page. Being here already, you might want to pay a visit to some of the following locations: Ottawa, Canton, Watertown, Saint-Polycarpe and Malone. To further explore this place, just scroll down and browse the available info. Let's start with some photos from the area. Attaque de chien en outaouais. 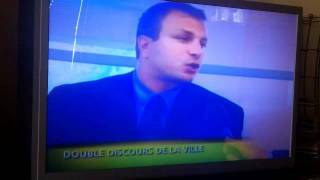 L'expert canin Francis Veillette de l'Auberge canine de la petite-nation donne ses commentaires au TVA Nouvelle Gatineau-Ottawa. 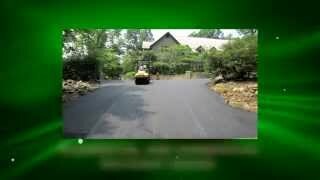 Zodiac Asphalt Driveway Paving http://drivewaypavingottawa.com - Your reliable Driveway Paving Company in Ottawa ON. Contact us at (613) 519-1323 Zodiac Asphalt Driveway Paving 80 Aberdeen. Located at 45.3972, -75.7433 (Lat. / Lng. ), about 0 miles away. Located at 45.4048, -75.7342 (Lat. / Lng. ), about 1 miles away. Located at 45.407, -75.7279 (Lat. / Lng. ), about 1 miles away. Westboro Station is a stop on the transitway in Ottawa, Ontario. It is located in the Westboro neighbourhood, on Scott Street between Athlone and Tweedsmuir avenues. The transitway in the area is in a below-grade 'trench' parallelling Scott Street. Each platform has an elevator and stairway to the ground level above; the two sides are connected by an enclosed pedestrian bridge, and the ground-level station area also has platforms for local buses. Located at 45.3965, -75.7522 (Lat. / Lng. ), about 1 miles away. Located at 45.4038, -75.735 (Lat. / Lng. ), about 1 miles away. Dominion Station is a stop on the transitway in Ottawa, Ontario. It is located north of the western edge of Westboro village, where the below-grade transitway segment joins the Sir John A. Macdonald Parkway. The station is named after nearby Dominion Avenue. Opened on 29 November 1999 as an intermediate station between the long-established Lincoln Fields and Westboro stations, Dominion Station consists of two bus shelters and a grade level crosswalk rather than a true station with platforms. Located at 45.3922, -75.7606 (Lat. / Lng. ), about 1 miles away. The Champlain Bridge (Pont Champlain) crosses the Ottawa River about 5 km west of Parliament Hill, joining the communities of Ottawa, Ontario and Gatineau, Quebec. It is the westernmost link between the two cities. It was originally built between 1924 and 1928 by the Federal District Commission, the predecessor to the National Capital Commission, which maintains this bridge. The bridge consists of 4 spans and crosses Riopelle, Cunningham and Bate Islands in the Ottawa River. Located at 45.4097, -75.7594 (Lat. / Lng. ), about 1 miles away. Located at 45.4103, -75.7342 (Lat. / Lng. ), about 1 miles away. Kitchissippi Ward (Ward 15) is a city ward in the city of Ottawa, Canada. It gets its name from the Algonquin word for Great River. The ward is slightly west of downtown, and covers the neighbourhoods of Broadview, Champlain Park, Civic Hospital, Hampton Park, Highland Park, Hintonburg, Island Park, McKellar Heights, McKellar Park, Mechanicsville, Westboro Beach, Westboro, and Wellington Street West. As of the 2010 election on October 25th,2010, the ward is represented by Katherine Hobbs. Located at 45.4, -75.75 (Lat. / Lng. ), about 0 miles away. The Minto Metropole is a 33 story residential building in the Westboro neighbourhood of Ottawa, Ontario. At 108m, it is the third tallest building in Ottawa; five meters shorter than Place de Ville Tower C. It is the tallest residential building in the National Capital Region. 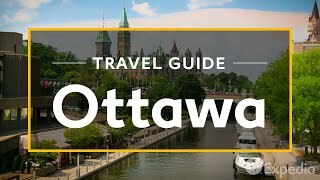 The Minto Metropole is located on the near western side of the city on Island Park Drive, overlooking the Ottawa River, and within walking distance of Westboro Station. Located at 45.3975, -75.75 (Lat. / Lng. ), about 0 miles away. 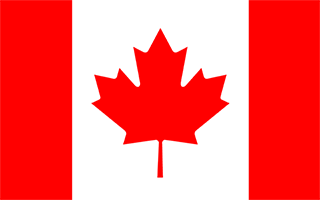 Founded in 1981 in Toronto by two United Church http://www. united-church. ca ministers and two lay people, Bridgehead is a small fair trade coffeehouse chain which now has fifteen outlets in Ottawa, Canada. In addition to coffee and organic teas, it sells snacks as well as soups and salads made in its own kitchen. In November 2006, Bridgehead was again voted Ottawa’s “Best Coffee/Tea House” by readers of Ottawa XPress, a widely read lifestyle weekly. Located at 45.3915, -75.7546 (Lat. / Lng. ), about 1 miles away. Moe's Newport Restaurant is located in the Westboro area of Ottawa, Canada, on the corner of Richmond and Churchill. Moe's is known for its pizza and Lebanese cuisine. Moe's was founded by Moe Atallah, a Lebanese refugee who fled his homeland in 1976. In Lebanon, Atallah managed his family's restaurant on the Mediterranean coast. His first job in Canada was as a dishwasher for a Greek restaurant on Rideau Street. Located at 45.3921, -75.7534 (Lat. / Lng. ), about 1 miles away. The Ottawa School of Speech and Drama (OSSD) is a centre for education and training in drama, theatre, musical theatre and speech arts. Since 1988, the school has offered specialized courses to students of ages 3 to 75, with professional instruction to develop skills such as acting, singing, vocal production, movement, dance, sight-reading, language arts, text analysis, scene study, character development and technical aspects of theatre. Located at 45.3936, -75.7519 (Lat. / Lng. ), about 1 miles away. Westminster Presbyterian Church is a member of the Presbyterian Church in Canada located in Ottawa, Ontario. It is situated on the west side of Roosevelt Avenue in the Westboro neighbourhood of Ottawa. Located at 45.3886, -75.7557 (Lat. / Lng. ), about 1 miles away. The Canadian Ski Museum is a museum based in Mont Tremblant, Quebec. It was founded in 1971 by a dedicated group of volunteers and ski enthusiasts. Shortly thereafter, in 1975 the museum was incorporated. Since 2011 it has left the Ottawa location with collection online or stored. After 2013 the facility will moved to Mont Tremblant, Quebec. Located at 45.3967, -75.75 (Lat. / Lng. ), about 0 miles away. The Canadian Ski Hall of Fame (French: Le Temple de la renommée du ski canadien) was created by the Canadian Ski Museum in 1982 to honour skiing pioneers, competitors, coaches, officials, and builders. Churchill Alternative School is an elementary school in Ottawa, Ontario, Canada. It is located in Westboro (Ottawa) at the corner of Churchill & Ravenhill. Located at 45.3905, -75.7535 (Lat. / Lng. ), about 1 miles away. Hampton Park is a park and neighbourhood in the City of Ottawa, in the Canadian province of Ontario. It is directly north of the Queensway at Island Park Drive. It is considered a sub-neighbourhood of the Westboro area. It was first developed in 1910 by J.C. Brennan who shares his name with Brennan Avenue which is a residential street in the area. The neighbourhood is full of youth and lies quite near Hampton Park Plaza and Richmond Road. Located at 45.3903, -75.7394 (Lat. / Lng. ), about 1 miles away. Located at 45.4069, -75.735 (Lat. / Lng. ), about 1 miles away. Located at 45.4059, -75.7342 (Lat. / Lng. ), about 1 miles away. Westgate Shopping Centre is a small scale shopping centre in West Ottawa bordering Carling Avenue, Merivale Road, and Highway 417, owned by RioCan Real Estate Investment Trust. The mall opened May 12, 1955 and is considered Ottawa's first shopping centre. The anchor of the mall was Freiman's department store, owned by Lawrence Freiman who already had a department store on Rideau Street. Located at 45.3869, -75.7355 (Lat. / Lng. ), about 1 miles away. These are some bigger and more relevant cities in the wider vivinity of Champlain Park.